Any premium paid in respect of insurance against risk of damage or destruction of stocks or stores, used for the purposes of business or profession. Insurance premium paid by a federal milk co-operative society on the lives of cattle, owned by the members of a primary milk co-operative society affiliated to it. Health insurance premium of employees paid by employer by any mode other than cash. One of the conditions is that the amount payable to employees as bonus or commission should not otherwise have been payable to them as profit or dividend. This is provided to check an employer from avoiding tax by distributing his/its profits by way of bonus among the memberemployees of his/its concern, instead of distributing the sum as dividend or profits. The assessee must have borrowed money. The money so borrowed must have been used for the purpose of business. Interest is paid or payable on such borrowing. Interest in respect of capital borrowed for the purpose of business/ profession is a permissible deduction. Interest on own capital is not deductible. In other words, interest shall be paid to another person. Interest paid by one unit of the assessee to another unit is not deductible. Deduction of interest on borrowed capital cannot be denied only because the borrowed capital produces nontaxable income. Guaranteed interest paid to shareholder on paid-up capital is not deductible. Interest paid to wife and daughters on money allotted to them on partition, is deductible. Interest paid by a firm to partners is deductible according to the provisions of section 40(b) [i.e., @ 12 per cent per annum simple interest]. However, interest paid by an association of persons to its members is not deductible. Capital should have been borrowed for the purpose of business or profession. Interest liability pertaining to the period beginning from the date on which capital is borrowed by an existing concern for the acquisition of an asset till the date, when such asset is first put to use, should be capitalised and it cannot be claimed as deduction under section 36. Only interest on capital borrowed to purchase a capital asset for business purposes pertaining to the period after the asset is put to use, is deductible on year to year basis under section 36. If borrowed money is utilised in earning non-assessable income, no deduction is allowed for interest paid on such borrowing. It is not for the income-tax department to examine whether there was no need to borrow money because the assessee had ample fund of his own. 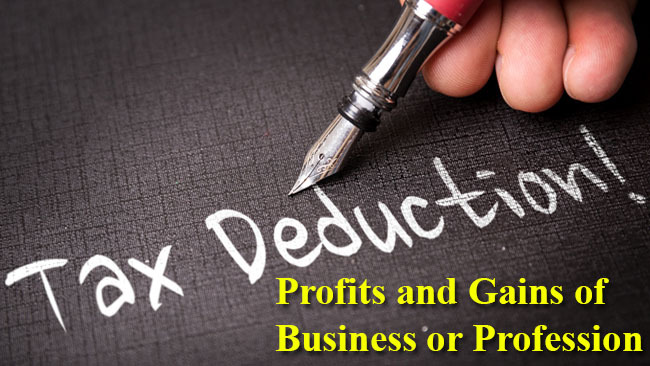 A taxpayer who is engaged in the business of trading in paper can claim deduction in respect of interest on capital borrowed for the setting of a garment business (even if the new business generates negative income). It is not open to the Assessing Officer to reject the claim of the assessee in respect of the interest paid on that capital merely because the use of the capital is unremunerative. Interest on money originally borrowed for business purposes would be disallowable in a subsequent year in which the money is used for non-business purposes. Interest paid by the assessee on money borrowed for payment of dividends is an allowable deduction. Where the assessee-partner borrows money for investing as capital in partnership, interest paid by the assessee on borrowed money is allowable as deduction. Interest on money borrowed to pay income-tax is not allowable as deduction. Interest for late payment/nonpayment of income-tax/advance tax/tax deducted or collected at source or for late filing of return, is not allowable as deduction. Similarly, where interest is paid for meeting tax liability of partners, such interest is not deductible. Any discount on issue of zero coupon shall be allowed on a pro rata basis having regard to the period of life of such bond calculated in a manner as may be prescribed. According to section 2(48), zero coupon bond is a notified bond issued by any infrastructure capital company (or infrastructure capital fund or public sector company or scheduled bank) on or after June 1, 2005. In respect of such bond, no payment/benefit is received (or receivable) by a bondholder before maturity/redemption. Period of life of the bond means the period commencing from the date of issue of the bond and ending on the date of the maturity or redemption of such bond. Any sum paid by the assessee as an employer by way of contribution towards a recognised provident fund or approved superannuation fund or any other approved welfare scheme of employee is allowed as a deduction subject to such limits as may be prescribed for the purpose of recognising the provident fund or approving the superannuation fund, etc. as the case may be. 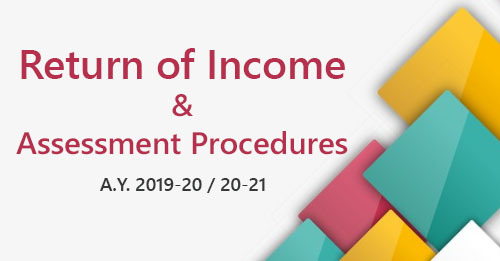 Any sum paid by the assessee as an employer by way of contribution towards a pension scheme, as referred to in section 80CCD on account of an employee to the extent it does not exceed 10% of the salary of the employee in the previous year shall be allowed as deduction. Any sum paid by the assessee as an employer by way of contribution towards approved gratuity fund, created by him for the exclusive benefit of his employees under an irrevocable trust, shall be allowed as a deduction subject to the provisions of section 43B. Certain employers were deducting amounts from the salaries of the employees towards certain welfare schemes like PF, ESI, etc. but were not crediting it to the employees' accounts even after long periods. This Section was introduced to check such malpractices. 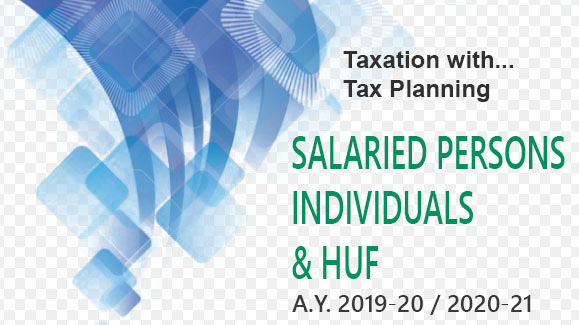 Sum deducted from the salary of the employee as his contribution to any provident fund or superannuation fund or ESI or any other fund for the welfare of such employee is now treated as an income of the employer as per section 2(24)(x). However, if such contribution is actually paid on or before the due date mentioned below the deduction will be allowed for the same under this clause. Expenditure incurred on the purchase of animals otherwise than as stock in trade which are used for the purpose of business or profession is a capital expenditure. However, no depreciation is allowed on such capital expenditure. Such capital expenditure will be written off as a loss in the year in which the animal dies or becomes permanently useless for such business or profession. If any amount is realised on sale of the carcasses or the animals, such amount recovered shall be deducted from the capital expenditure which was incurred for the purchase of the animal and the balance amount shall be allowed as a deduction under this section. 200 % of (paid-up share capital and general reserve as on the last day of the previous year) minus the balance of the special reserve account on the first day of the previous year, whichever is lower. If any amount is withdrawn from the aforesaid reserve account [in respect of which deduction was allowed under section 36(1)(viii)], it will be chargeable to tax in the year in which the amount is withdrawn, under section 41(4A), regardless of the fact whether the business is in existence in that year or not. This deduction is allowed only to company assessees. Any expenditure bona fide incurred by a company for the purpose of promoting family planning amongst its employees is allowable as deduction in the year in which it is incurred. Where such expenditure or part thereof is of a capital nature, 1/5th of such expenditure shall be deducted for the previous year, in which it was incurred and the balance shall be deducted in four equal instalments during the subsequent four years. No deduction is available under section 36(1)(ix) in the case of a non-corporate assessee. A non-corporate assessee may claim deduction under sections 32 and 37(1) if the relevant conditions are satisfied. Any family planning expenditure which is not allowed as deduction due to inadequacy of profit, shall be set off and carried forward as if it is unabsorbed depreciation. An amount equal to the securities transaction tax paid by the assessee in respect of the taxable securities transactions entered into in the course of his business during the previous year, if the income arising from such taxable securities transactions is included in the income computed under the head "Profits and Gains of Business or Profession". An amount equal to the commodities transaction tax paid by the assessee in respect of the taxable commodities transactions entered into in the course of his business during the previous year shall be allowable as deduction, if the income arising from such taxable commodities transactions is included in the income computed under the head "Profits and gains of business or profession". The amount of expenditure incurred by a cooperative society engaged in the business of manufacture of sugar for purchase of sugarcane at a price which is equal to or less than the price fixed or approved by the Government shall be allowed as a deduction.